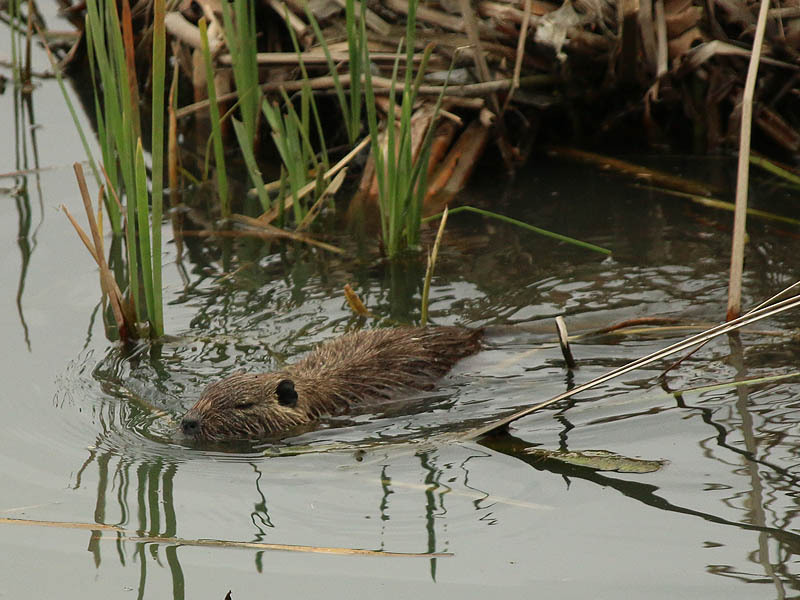 Nutrias and Beavers can look superficially similar when they are observed swimming through the water. Because of this it can sometimes be hard to tell the two rodents apart at first glance. 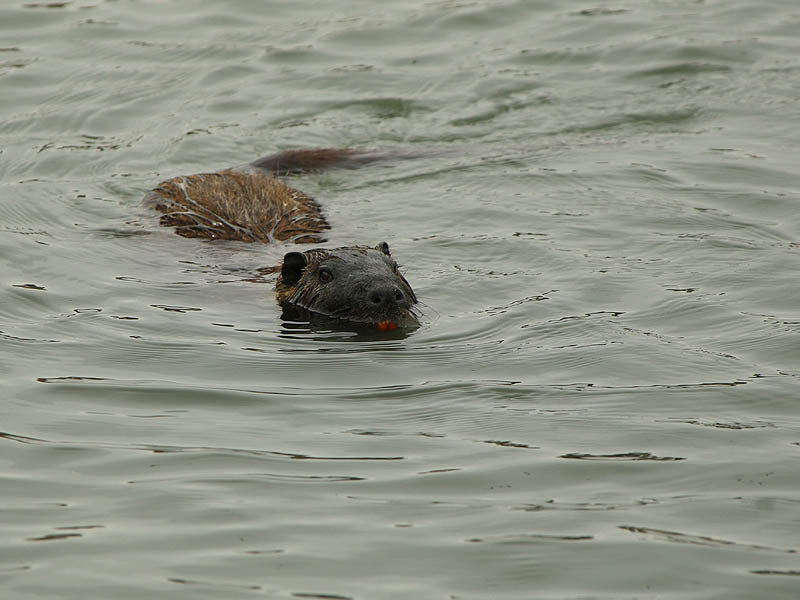 One of the first things I look for when trying to differentiate these rodents is the color of their snouts. 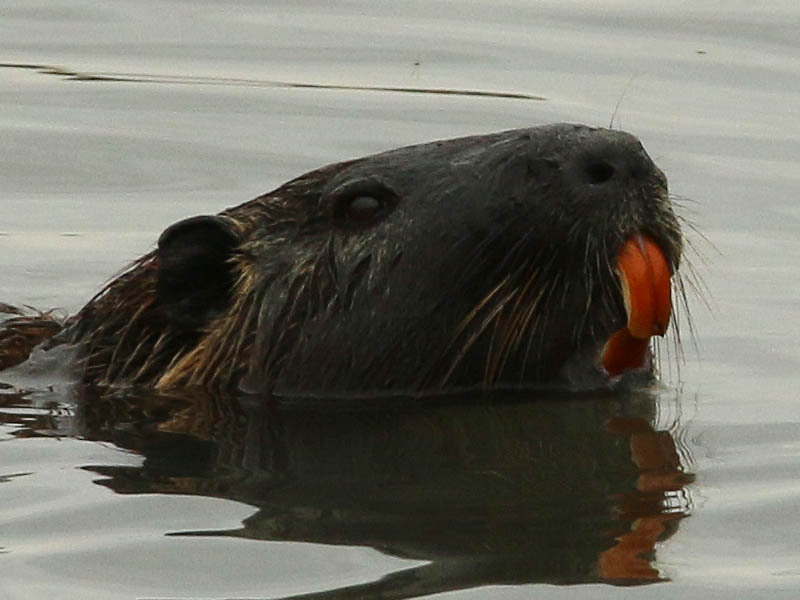 Nutrias typically have a distinctive patch of white hair around their nose and mouth. 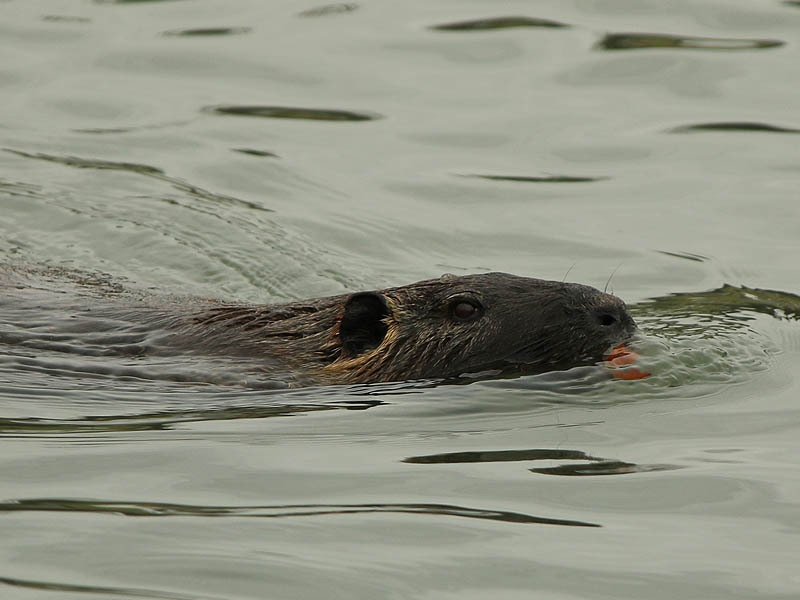 Beavers, on the other hand, usually have a more uniformly colored muzzle. 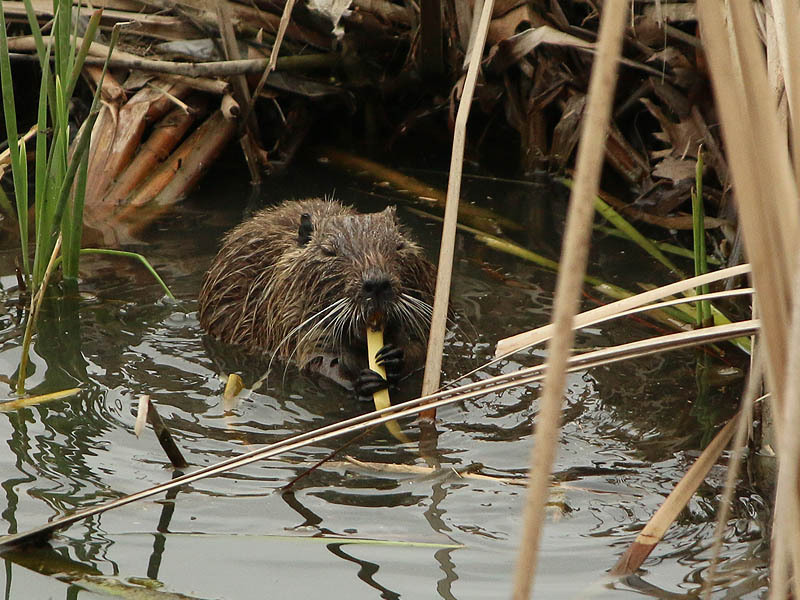 The Nutria in the pictures below is an exception to the rule. His face, nose, and lips are all much darker in color than what is ordinary. 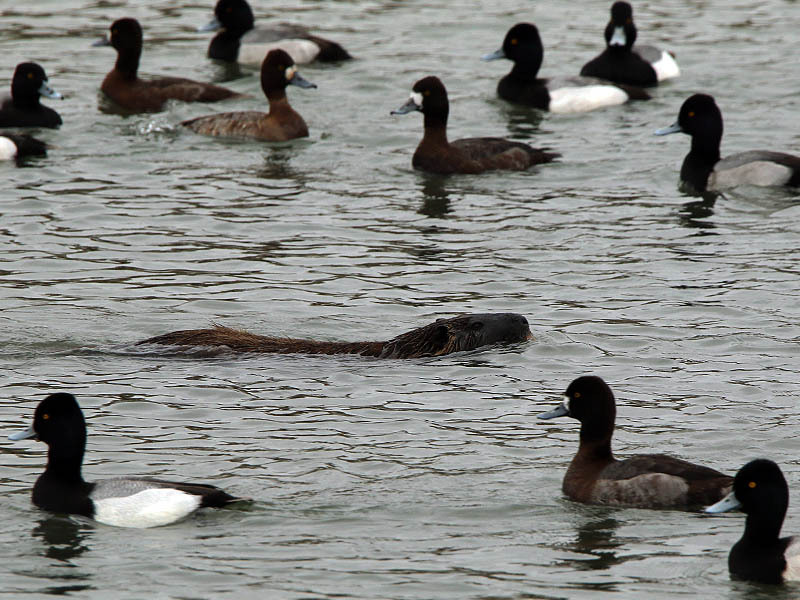 It is not clear whether this extra pigmentation is due to unusual hair coloration, or if the Nutria’s snout is simply stained with dark mud. 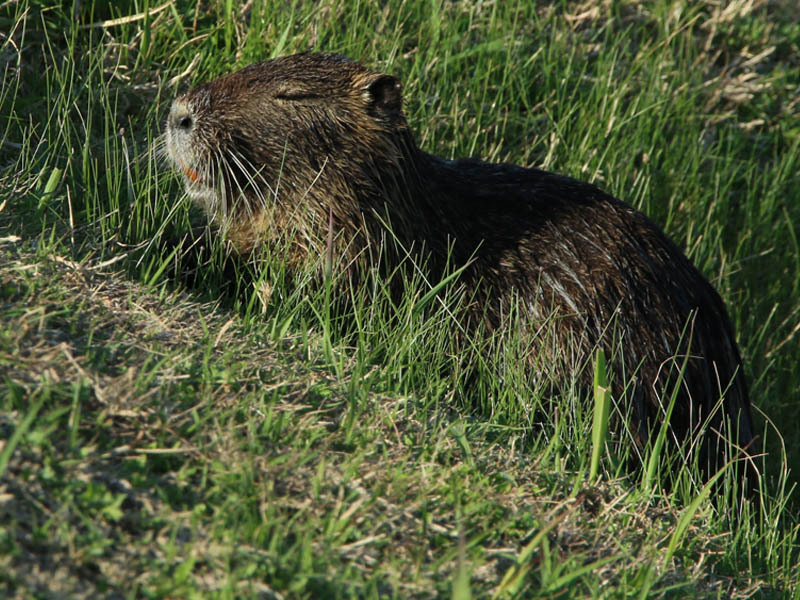 The picture below is of a more typical Nutria. As you can see, his nose and mouth are bordered by coarse white hairs. 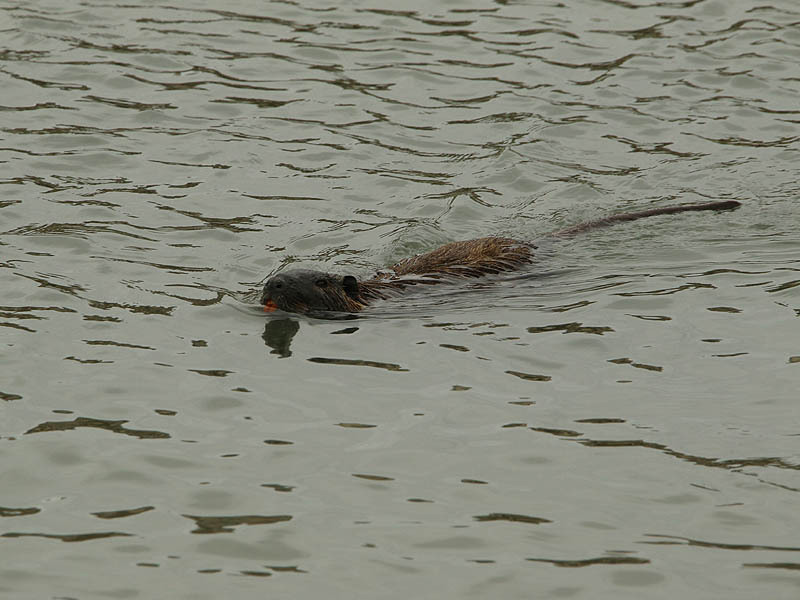 Eventually, the Nutria positioned itself so that its long rat-like tail was clearly visible. 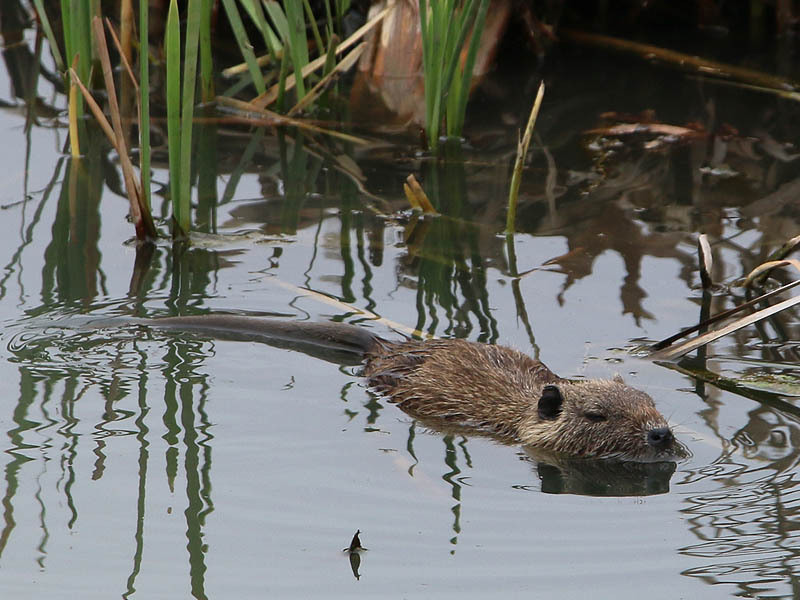 This made his identification as a Nutria unmistakable. 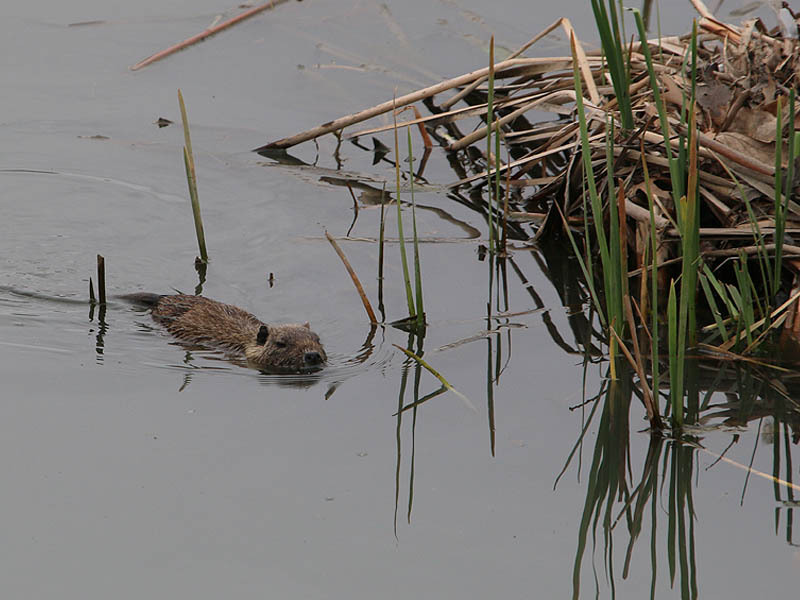 If this had been a Beaver, the tail would have been broad and flat. 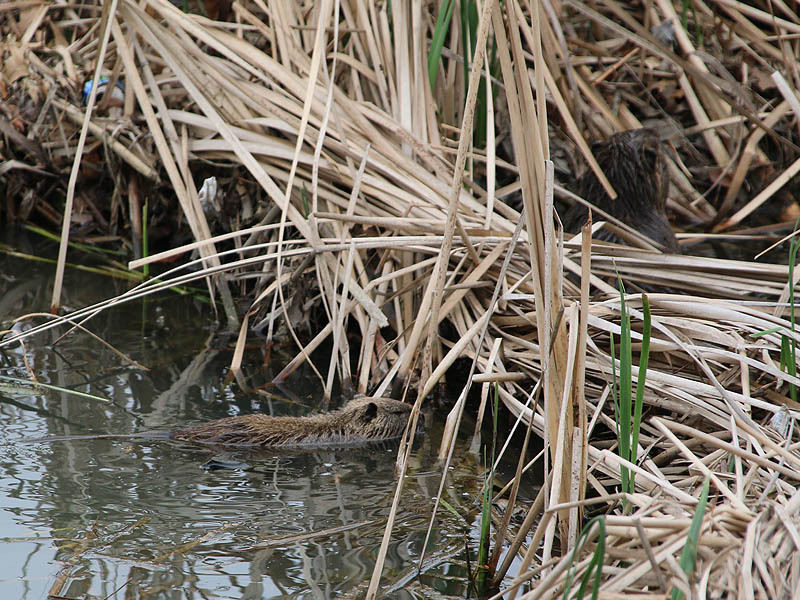 As we watched, the darkly colored Nutria made his way along a channel of water cutting through a bed of reeds. 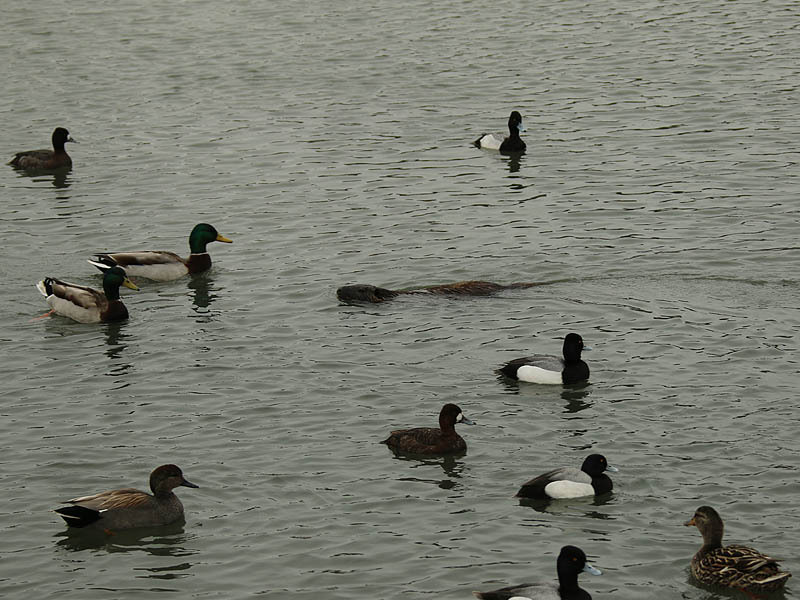 In this cove he was soon joined by a juvenile Nutria and the pair began feeding together in close proximity. 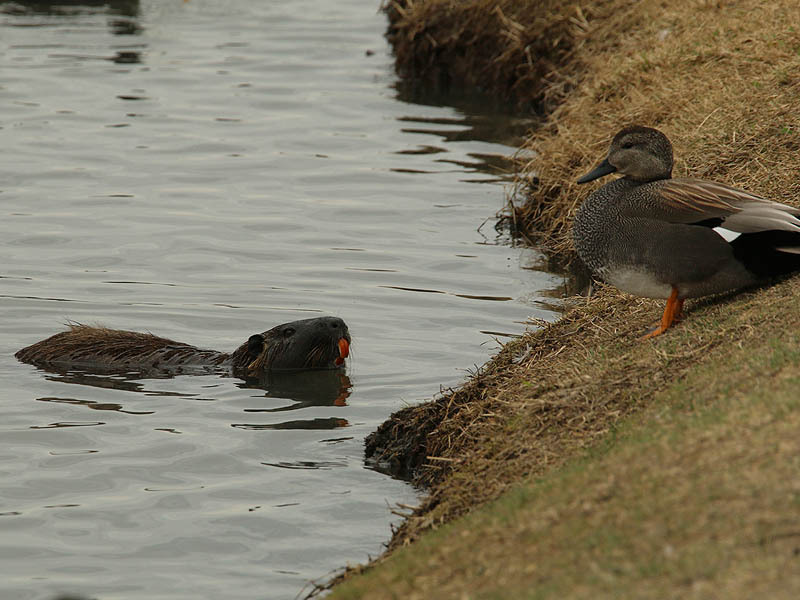 The young Nutria was smaller and more lightly colored than the adult, but he also lacked the white snout I am used to seeing on these animals. Perhaps they are related to each other!